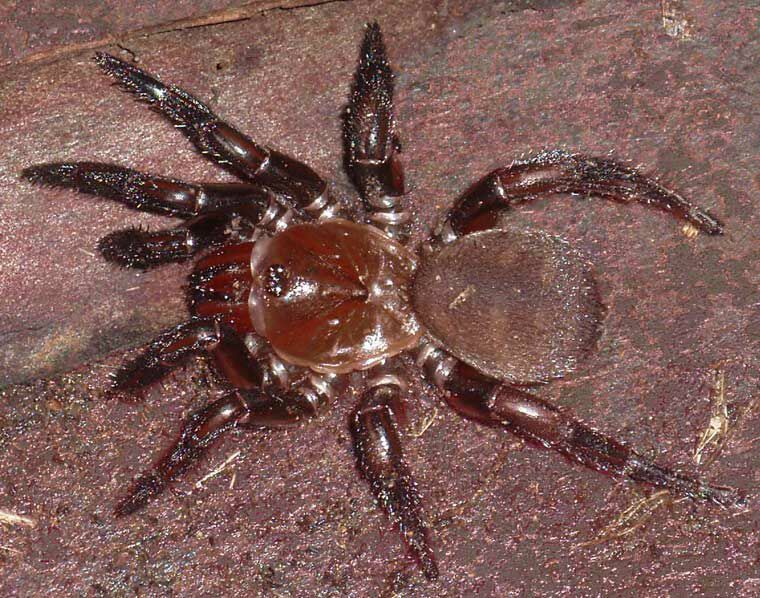 The Golden Trapdoor Spider is a large, robust spider with a broad shiny orange-brown head, a brown body and thick orange brown legs. There are at least three almost indistinguishable species in south-eastern Queensland in areas beside native forests, typically places like Kenmore, Brookfield, and the Gap. The genus is also found in Coastal NSW, Victoria, and south western Western Australia. The burrow is 30-40 centimetres deep with a thick plug door in rainforest or moist gallery forest around streams. The solid door is very effective in sealing their low-lying burrows against all but the most intense floods. 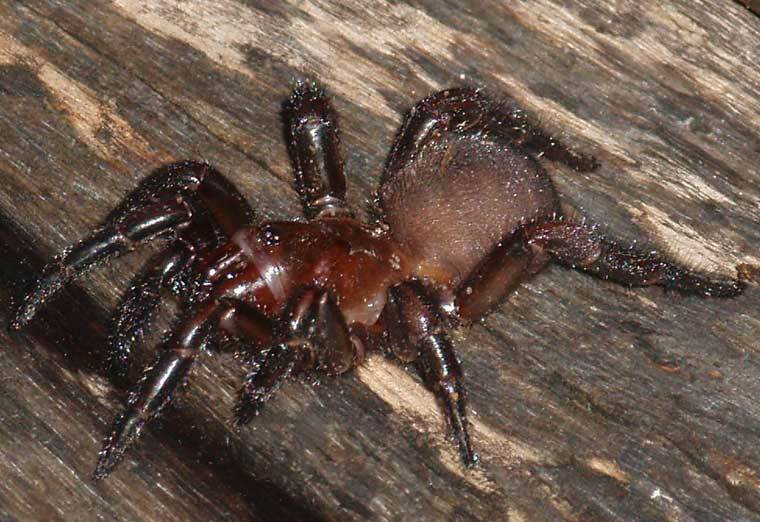 This genus is not known to be dangerous but the spiders seem easily disturbed and quickly rise to the defensive pose with head raised and fangs open and ready.